How the pharmaceutical industry develops drugs in 2017 already looks very different to how it did 10 years ago, and it’s still evolving fast. The rise of gene-based and specialised medicines, plus accelerated ‘conditional marketing authorisations’ are transforming clinical trials. But equally important is the growth of patient power, which is starting to make patients partners in the R&D process. Linked to all these issues is the need for a shift towards real-world data collection. This is to satisfy demands of regulators and healthcare payers, but also to give a truer picture of patient experience and outcomes on medicines beyond the clinical trial. Pharma is still finding its way in this evolving ecosystem – one that is undoubtedly more complex than it once was. These issues were the talk of eyeforpharma’s recent conference in Barcelona, with many companies eager to showcase their innovative approaches. Janssen’s head of ‎global commercial and market access strategy, Steve Wooding, presented his company’s vision of the future. “Learning from patients is key. 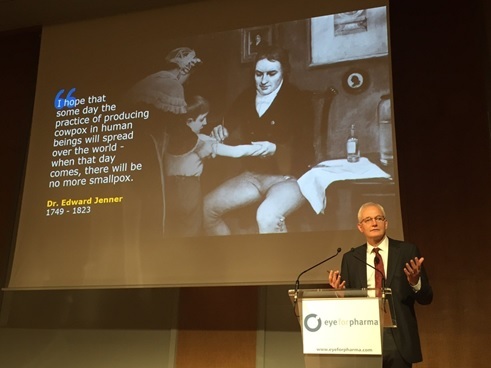 We need to observe and listen as we develop medicines,” he told the eyeforpharma audience. Janssen is integrating patient reported outcomes (PROs) throughout the drug development process, from the point of the initial clinical innovation all the way to market access. He says patient data is now being used to guide the company’s development of drugs at a portfolio level. This information can help with the questions that are not answered in clinical trials – whether a drug can be turned into a marketable product, and how it can be marketed. “It can guide your development in terms of making crystal clear the outcomes that are important to patients,” says Wooding. Quality-of-life measures have yet to be fully explored in the regulatory process, but could become increasingly important, according to Wooding. It is no longer good enough for a drug just to be effective from the healthcare professional’s perspective – it must also tackle the symptoms and problems which patients find most significant. One example of this is in antiretrovirals in HIV – while clinicians worry about cardiovascular side effects, patients who must take the drugs for life are just as concerned about the potential diarrhoea side effects. In pharma drug development, quality-of-life metrics and Patient Reported Outcome Measures (PROMs) are now becoming much more common elements in clinical trials. Quality-of-life measures are already playing a significant role in health technology assessments (HTAs). “With payers and HTAs it’s become another angle to demonstrate a medicine is valuable to an individual patient and to wider society,” says Wooding. This development, along with greater harmonisation between European HTA authorities, brings its own risks – such as prices being set low across Europe. But overall, the most dynamic companies are all supportive of this direction, as it could ultimately accelerate access across the continent. Becoming more patient-centric from the beginning of the drug development process is likely to have benefits later: if you design a ‘patient-friendly’ clinical trial, you have a better chance of recruiting the patients you need. “There are many things that you can do with your R&D programmes to make them more patient friendly and patient relevant,” says Wooding. Options include early dialogue with patient groups, which often have useful databases or information that could be used to develop a targeted therapy in a disease subgroup. “That means companies can recruit into trials better and quicker, which leads to earlier registration and access for patients – that’s good for patients and good for your bottom line,” explains Wooding. One way of making drug development more patient-friendly is to use novel, real-world evidence (RWE) trials and methodologies. QuintilesIMS president, North Europe, Middle East and Africa Alistair Grenfell also addressed the Barcelona audience. In a wide-ranging talk on the threats and opportunities to pharma, he said the “game has changed” in proving a product’s value. 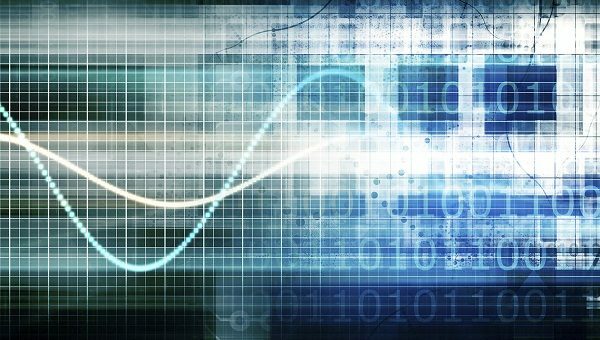 The company, which specialises in data and business consulting and trial services, recently collaborated with four leading oncology providers in Europe to set up a real-world database in cancer. 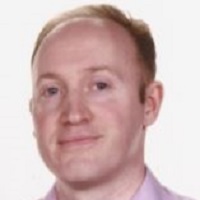 This will help QuintilesIMS help pharma make the transition to providing RWE as a matter of course – something which is currently logistically very complicated. Grenfell says investment in such new infrastructures is necessary to meet payer demands on real-world effectiveness data. 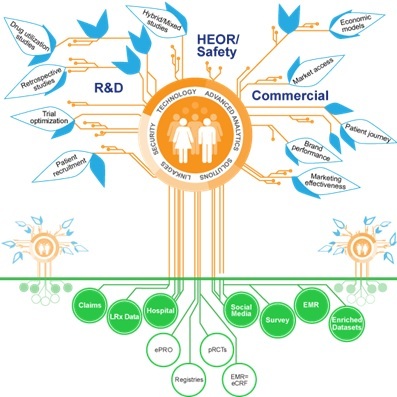 QuintilesIMS says pharma companies can create their own ‘RWE Ecosystem’. The breadth and variety of real-world trial designs is astonishing (see diagram) – that means pharma will have to become expert in choosing the right data sources and methods for the right patient cohorts to prove the most meaningful patient outcomes. Those companies that can do this should find themselves meeting the needs of healthcare systems, their own bottom line and, most importantly, the needs of patients.